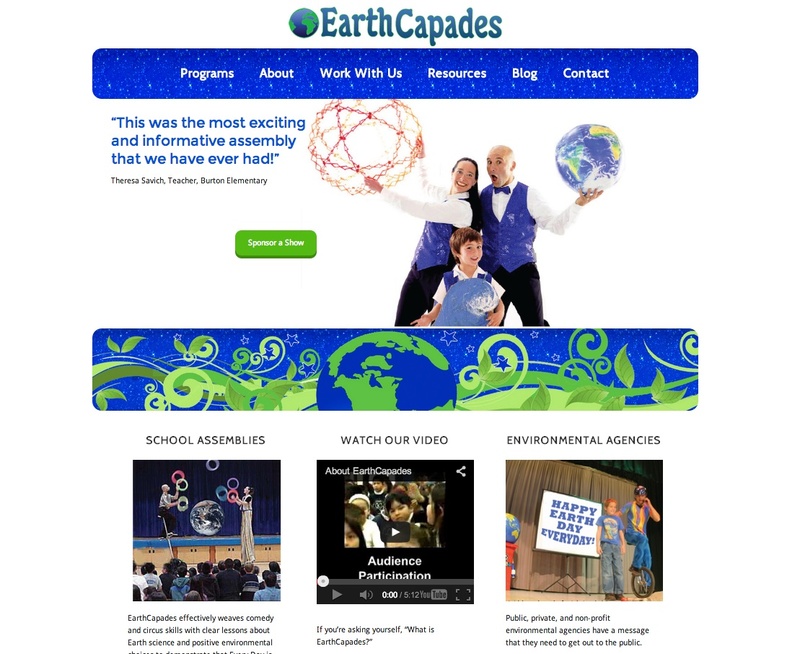 EarthCapades performs environmental education programs for kids. Their roving school assemblies teach about environmental problems and solutions, using vaudeville performers to convey complex material in a fun, engaging atmosphere. They are masters of Edutainment. 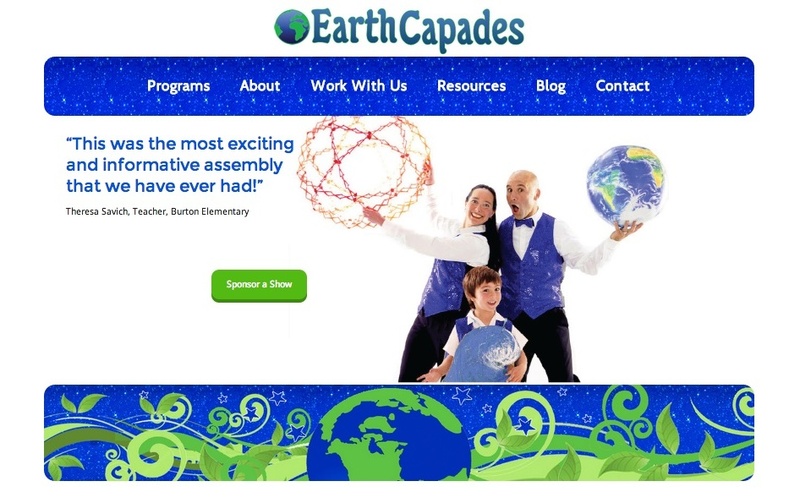 The EarthCapades shows use California State Science Standards to teach children environmental education basics, and provide them with the information they need to make better environmental choices. When they asked a friend and fellow performer, Jenny the Juggler, who they should talk to about website design, they were recommended to talk with Pura Vida MultiMedia. This website was incredibly fun to do. They already had a ton of content, but it was all shoehorned into a custom WordPress theme. I exported all of the content into a subdomain installation of WordPress, and spent a lot of time with the Scribe SEO plugin to optimize their page titles and content for an extra SEO kick. The new Genesis design turned out really well. We customized the child theme to resemble the former website, but now it’s responsive. Take a look at the website, and grab the corner of your browser window, to see how the site renders at different resolutions. When you make your browser thin, you can see what it looks like on a mobile device.